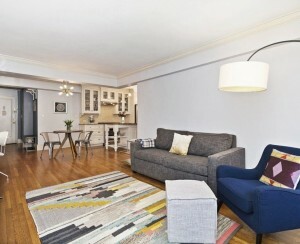 A living room in a Common Kingston co-living suite in Crown Heights. Co-living attracts renters with all-inclusive, amenity-laden buildings and furnished apartments. With roughly a dozen companies operating buildings across the city, the concept shows no signs of slowing down. 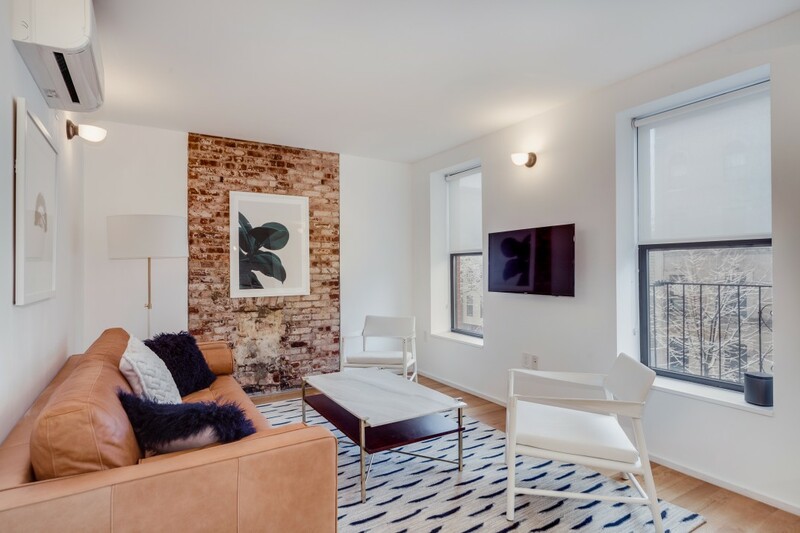 London-based The Collective acquired three properties within the past six months for its first U.S. expansion: in Bedford-Stuyvesant, Williamsburg, and just this week, Long Island City, where it will revamp The Paper Factory Hotel. One of the most attractive features of co-living is its convenience. Gone are the days of having to split up bills between roommates (or even find roommates, for that matter). Common spaces are cleaned, furnishings are provided, kitchen staples are stocked, even social events are planned, making this way of life very attractive for newcomers to the city. 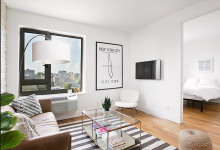 Convenience was one of the biggest draws for Nicole Peinado, a 26-year-old from Miami who hadn't heard of co-living prior to moving to NYC last summer to work in public relations. “My boss recommended co-living given the time constraint I was under," she says. Peinado accepted a job in April and needed to start in July. She began researching co-living and came across the website for Common. After liking what she saw on the site, Peinado booked a FaceTime tour of an apartment. Nine months ago she moved into Common Kingston in Crown Heights, where rents start at $1,400. 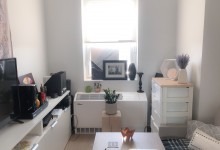 She shares with Brick Underground what it was like not seeing her first NYC apartment in person until her move-in day, the importance of having floor plans online, and what she likes best about Common (plus one thing it can improve). Nicole Peinado with a fellow co-living resident of Common Kingston in Crown Heights. What drew you to Common's Crown Heights location? The website had the floor plan so I could see exactly what the space looked like so there were no surprises. I did look at all of the Common properties in New York in Queens and Williamsburg, but they were out of my price range. Then what I zeroed in on was my commute to work, and Crown Heights was a better location for my commute to the Financial District, which is 30-35 minutes. One of the things that drew me to Kingston is that I would be sharing with only one other person, and it had in-suite laundry. I did a FaceTime tour, and what I saw on the FaceTime was what I saw on the floor plan. Did you have any trepidation about not seeing the apartment in person? None, it was exactly as I expected. I had no qualms doing the tour or not being there. The technology is so advanced—you should just take advantage if you don’t have time to fly to New York and be here and do a whole apartment-hunt. Common covers all our utilities and internet and cleans the common areas, kitchen, and bath once a week—that’s included. They replenish supplies like paper towels, maintenance and cleaning supplies like dish soap, paper towels, toilet paper, olive oil. It’s pretty cool, and the convenience factor is really there and having them do all that is worth the extra money. There are events, and a portal where you sign up for events. I’m very social and like to meet new people, and I’ve gone to a bunch of events, like seeing the Frida Kahlo exhibit at the Brooklyn Museum. I save money on tickets I’d otherwise have to pay for, which is pretty cool. This weekend, I’m going on a scavenger hunt at Grand Central Terminal. What’s your favorite part of the neighborhood? Crown Heights is so eclectic, and I like venturing off to Bed-Stuy, which is a five-minute walk and where the subway stop actually is. There’s lots of really cool restaurants, coffee shops, I go to CrossFit Outbreak there, and there’s a lot of trendy shops. What do you think sets Common apart from other co-living spots? I’m actually doing a lot of research now as my lease is going to be up for renewal, and one thing I’ve noticed is Common has the best website, and they’re transparent with prices and stuff. And the fact they offer floor plans online is great. If you have an issue, you email them, and they’re very responsive. I really have no complaints. Tell us about your apartment. I like that it gets really good sunlight, I’m in the front suite, there are multiple windows in the living room. It’s very spacious, with a full open kitchen. I have a TV in my room, and occasionally people from Kingston comes to my suite to watch, even though there’s a common area downstairs. What's your roommate situation like? Common finds someone for you, and I’ve had two so far, and gotten along with both. My current roommate travels a lot, so I'll have my apartment to myself for two weeks, which is nice. If it didn’t work out, I knew before I moved in that I could tell Common and apply for a change. Having that option was good, and my roommate now, she moved from another Common house to mine because she thought her room was too small. What do you do when you need some alone time or quiet time? I go to the basement—Kingston has a huge basement—and if no one’s there, I do my thing, or I’m just in my own room. What do you like best about co-living? The best thing is the people I’m meeting. It can be pretty difficult to make friends when you’re busy adjusting, so that’s the best, but at the same time, the convenience. What do you like least about co-living? Probably the thing I like the least is there are limits on the number of people who can RSVP to events, and sometimes people RSVP and don’t go, so there’s open space for someone who really wanted to go but couldn’t. There’s room for improvement there, maybe [implement] a check-in. How long do you plan on staying at Common Kingston? My lease is going to be up in July, it was a one-year lease, and I’ll probably renew because the pros far outweigh the cons. 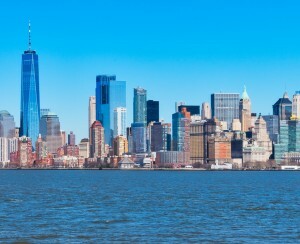 Would you recommend co-living in NYC? I would, 100 percent, to someone moving to the city for the first time. You don’t have to go out and get furniture, which is good because it’s so costly to move. 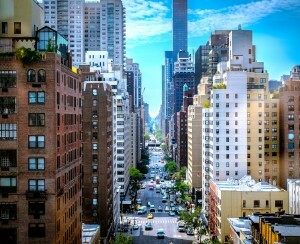 What advice would you give to someone thinking about co-living in NYC? The advice I would give is when you see someone, you don’t have to interact with everyone, but say, 'Hi' and be friendly. That’s what some of us came here for, to have that community.